The former Greek national team coach who became the first Greek assistant in the NBA talked about his experience with the Jazz. 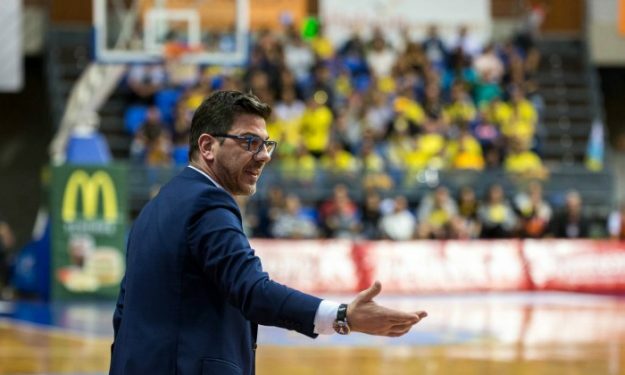 Fotis Katsikaris has coached in Greece, in Spain, and in Russia, he was on the bench of the Greek national team when Giannis Antetokounmpo made his debut and he signed with the Utah Jazz last summer. Katsikaris joined the Jazz as an assistant and he felt right at home, under coach Quin Snyder who has also experience in Europe and even has a play named after one of the best players of the old continent. “There is indeed a “Spanoulis” play and it is not just one”, confirmed Katsikaris, while speaking to the media on a conference call. “There are different option and moves, starting with a move under the basket and then with a handoff, something Olympiacos has always done with Spanoulis and coach Snyder has adapted it to his philosophy”. Utah has also a lot of European talent in Rudy Gobert, Ricky Rubio and even Australian Joe Ingles who made his name in Europe before going to the States. Katsikaris, who has faced Ingles in the past as an opponent is impressed by his progress: “Indeed, Ingles has made quite an impression. In a league like the NBA, which is based on athletic ability, he has the mind. He is a point forward, he is more mature, he understands the game, he is a good passer and has an excellent chemistry with Gobert. He takes advantage of the biggest spaces in the NBA court to shoot”.